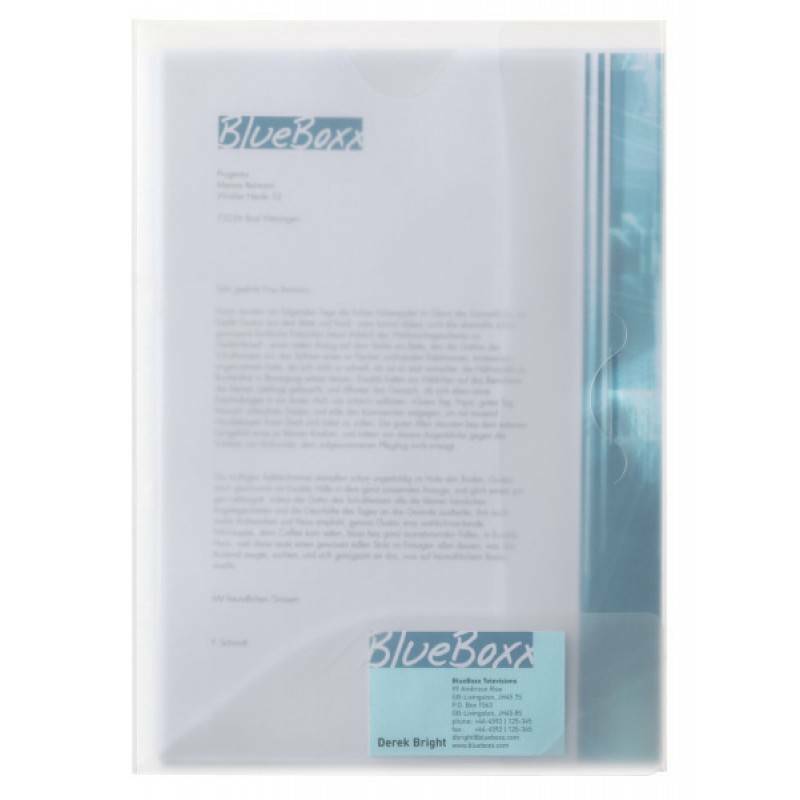 Quotation folder for A4 documents. 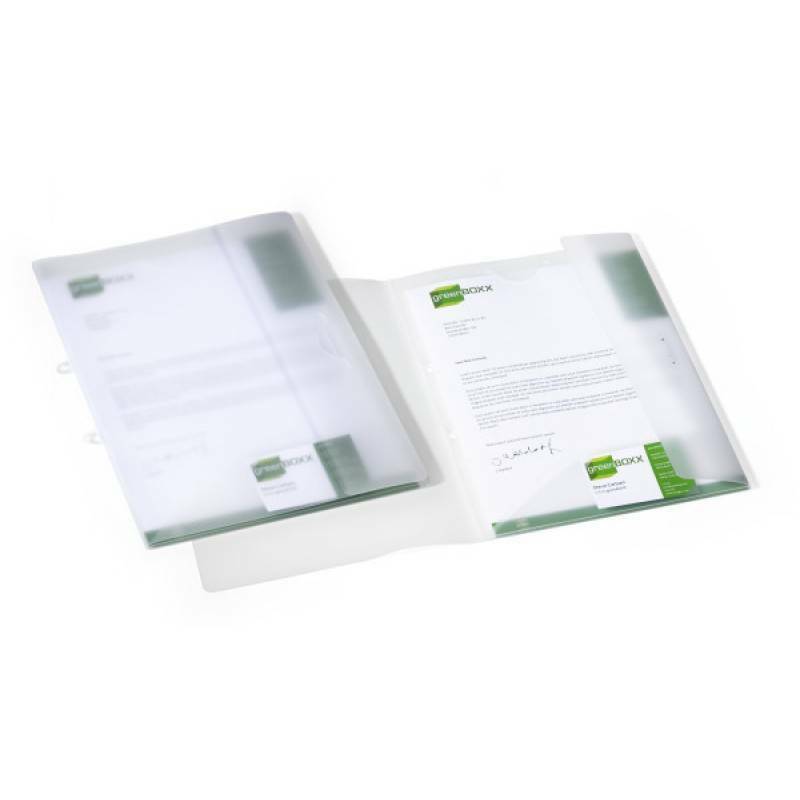 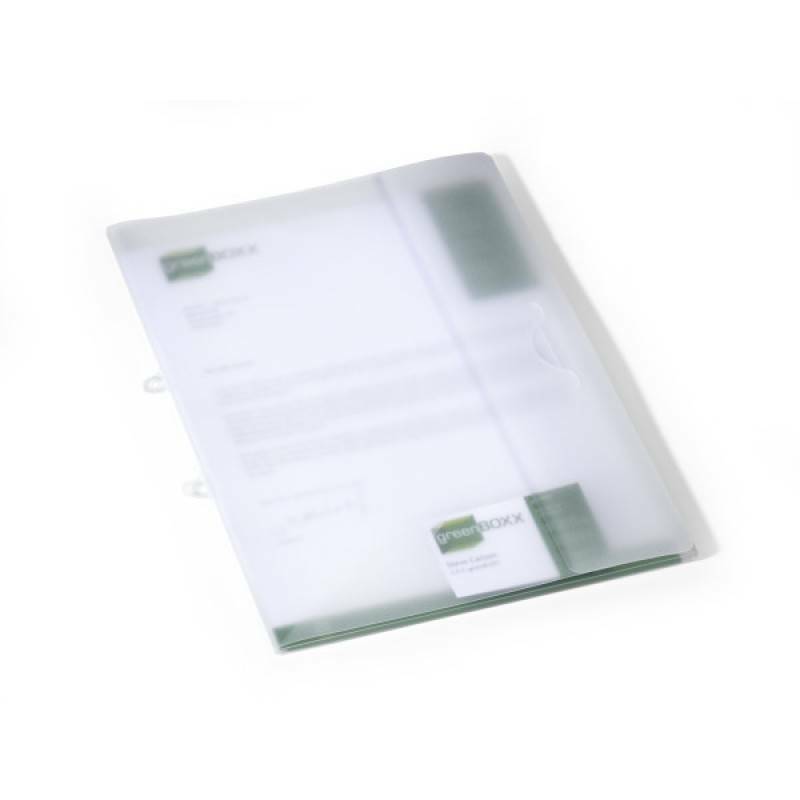 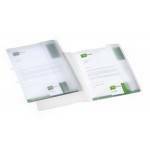 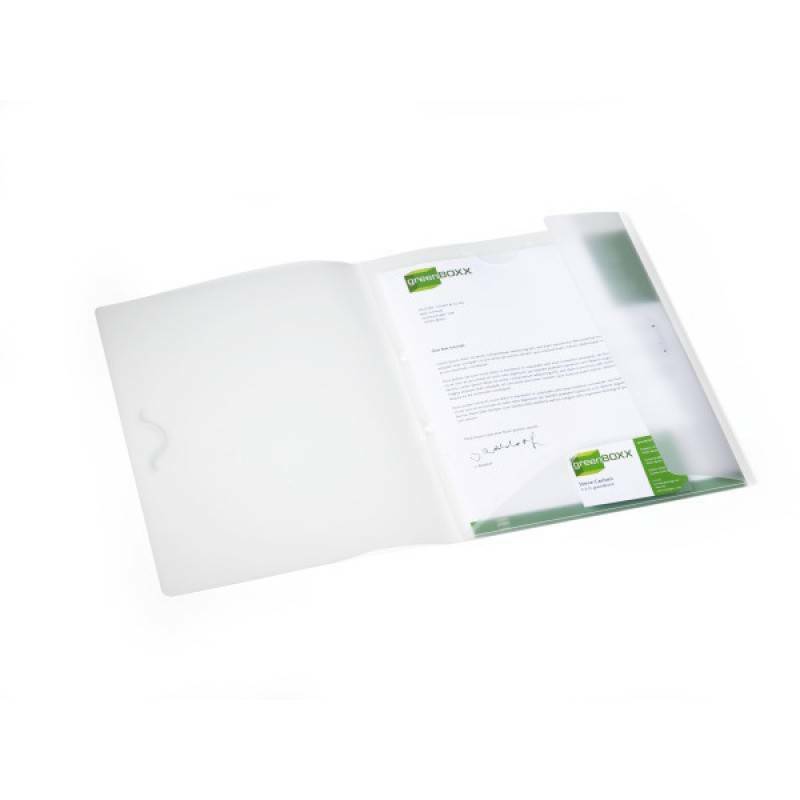 With two inner flaps, front cover with flap closure and slots for inserting a business card. 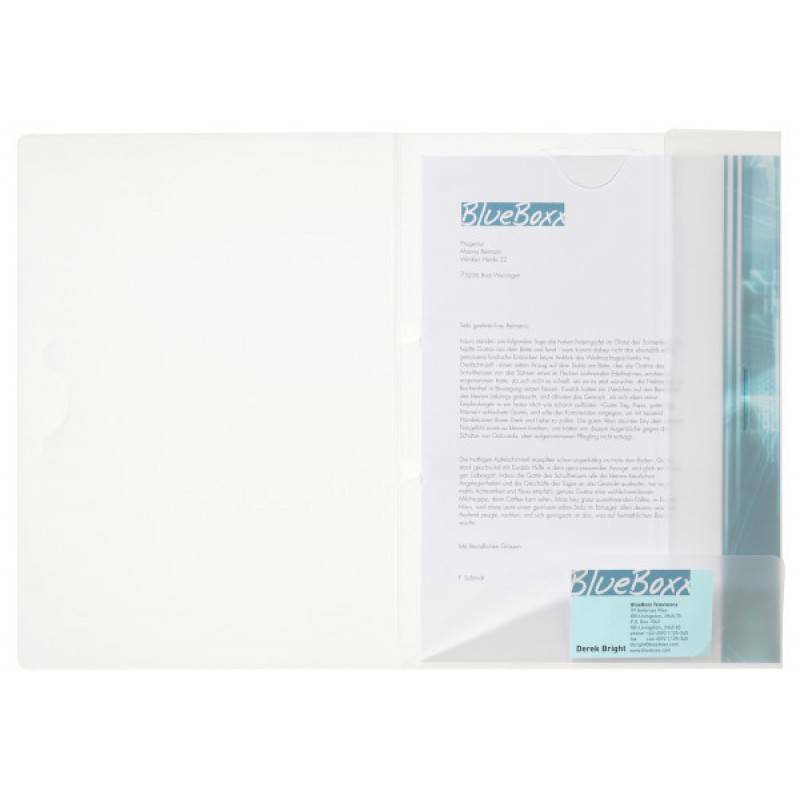 Complete with flexible archiving mechanism for filing in lever arch files and ring binders.